By buying this product you can collect up to 9 points . Your cart will total 9 points that can be converted into a voucher of ₱9 . 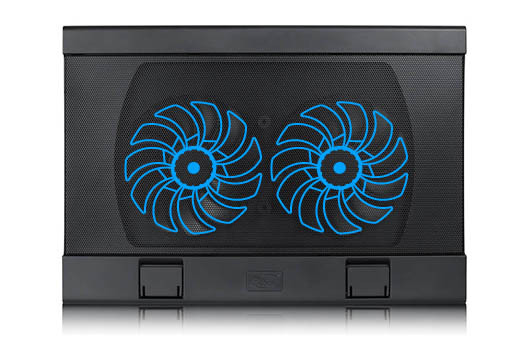 Metal mesh front panel and dual 140mm fans provide excellent cooling performance. Fan speed adjustable for the balance between performance and airflow. 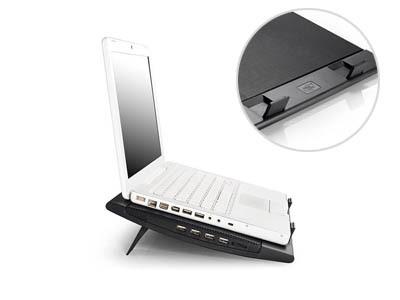 Two viewing angles available for the most comfort in use. 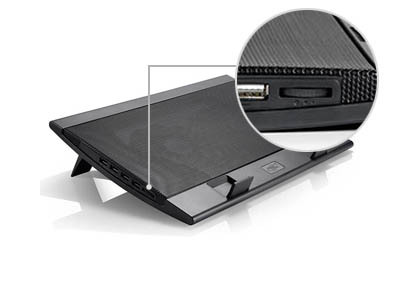 Anti-slip buckle to protect your notebook safety. WIND PAL has functional components undoubtedly. Two 140mm fans entitle WIND PAL strong power and staring appearance. The crescent body and the flat metal mesh form into a perfect piece that consists of beautiful lines. 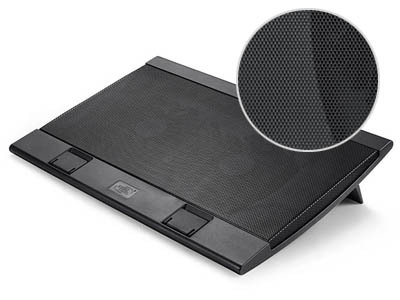 The front panel is made of high quality metal mesh, which allows optimal airflow through the panel to cool the notebook effectively. 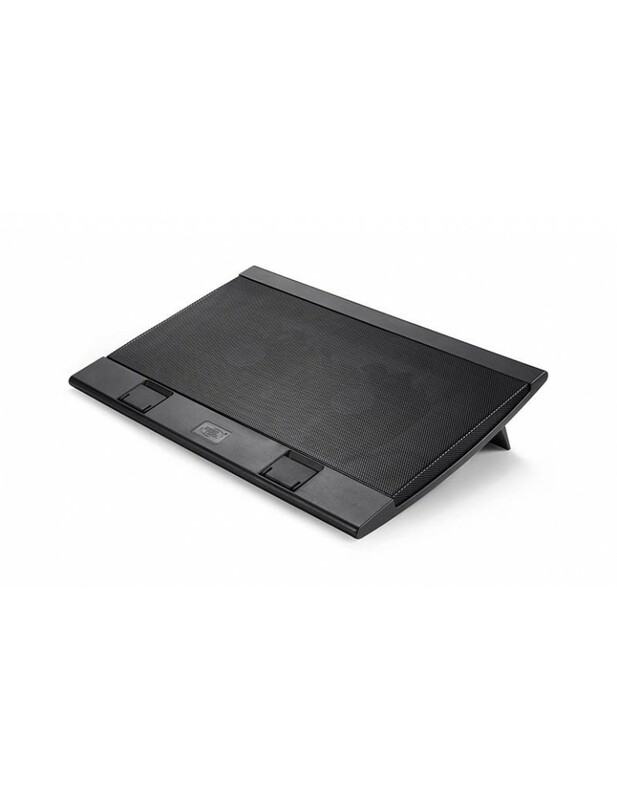 In order to ensure users’ better experience, WIND PAL adopts two angles for view for most comfort in use. WIND PAL has small folded feet at the bottom of the panel stuck with soft silica gel pad, it stops the notebook from slipping off and protect the edges of the notebook from scratches. 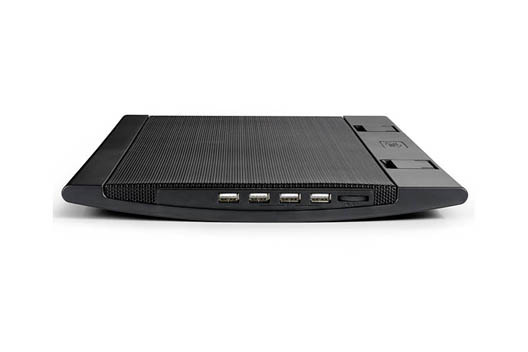 Fan speed control button can help you balance between noise and cooling performance, according to adjust the airflow.